in pursuit of Icardi to strengthen Zidane's squad. According to Spanish media outlet AS, Inter Milan have revealed the price-tag for their Argentine sharpshooter Mauro Icardi, amidst interest from Real Madrid. The Italian outfit have slapped a transfer fee of €80 million on their star player. With a broken relationship with the club and the squad, the two-time Serie A top-scorer would be open for a summer move. European elites, including Manchester United, Juventus, and Real Madrid have been linked with making a move for him. Icardi's current contract with the Nerazzurri expires in the summer of 2021. However, the club are willing to offload him at the end of the season. Icardi, who hasn't played in over a month for the Nerazzurri, and was stripped of the captaincy, has been a long-term target for Los Blancos. The 26-year-old has scored 15 goals and set up another 2 in 28 appearances in all competitions this season. Real Madrid have often struggled to score in Cristiano Ronaldo's absence this season and are in pursuit of a top-notch striker, who can replicate the staggering figures of the Portuguese forward. 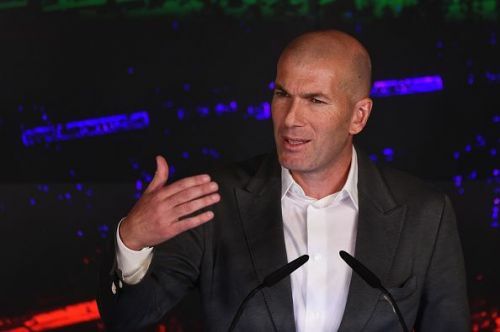 With the return of former coach Zinedine Zidane, just nine months after he shockingly resigned as the Madrid boss, Los Blancos are targetting their summer signings already. Wasting no time since his arrival, the Frenchman has already signed Porto's star defender Eder Militao for a reported fee of €50 million. The Brazilian will join the club at the end of the season. Icardi, who has been a goalscoring sensation for the past few years, has been on Real Madrid's radar. The report suggests that Los Blancos' representatives met with the Inter hierarchy to discuss the possibility of a summer move. The Serie A giants, in reply, have slapped a fee of €80 million. If other clubs such as Napoli, Manchester United and Juventus join the race to sign the striker, the transfer fee might increase further. Following a 2-0 win over Celta Vigo last weekend, in what was Zidane's first match in charge since returning to the club, Los Blancos will host Huesca at the Bernabeu after the international break.